The Apple-1 Registry is now officially available at https://www.Apple1Registry.com. Mike Willegal already placed information and link on his website. You can fallow the Apple-1 Registry at Twitter and Facebook For more information visit the website. Again, I have to thank Mike for his confidence. Australia is misspelt Austria in one place. Also this item is not always on display - but since it is, I'll be heading there soon to check it out! Note that the 8406 date code on the CPU isn't the only oddity, note the PIA and many other ICs. Description was never touched for years. As I was checking all information from Mike Austria sounded reasonable because Rudi Hoess is really an Austrian/German name. I found a newspaper article and you are right, it is AUSTRALIA. I will change this. The power house webpage was already linked. Just click on details. I would love to take those pictures but I need permission and already asked the museum. So far no answer. Image rights of the picture at cloudfront.net belongs to you and I can use it for the registry? This is the first picture I can see more details. Thanks! Update of the registry pretty soon. 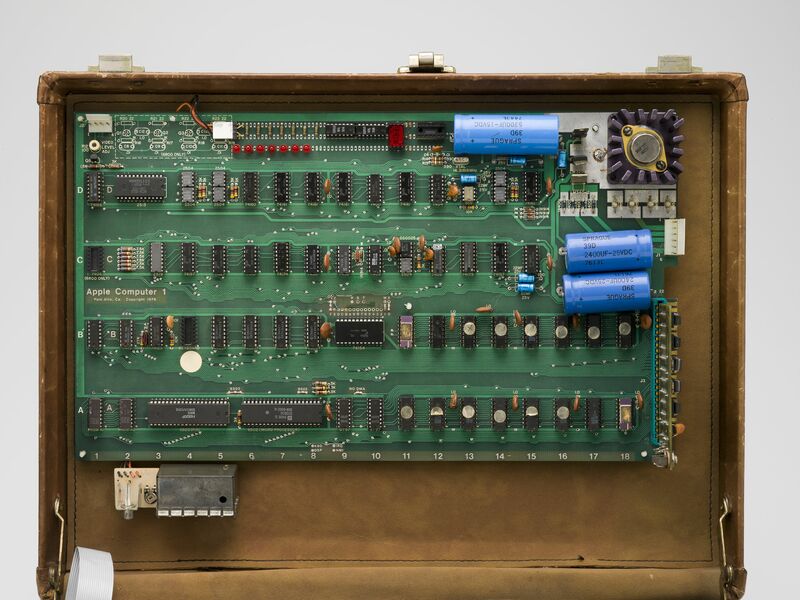 Information, videos and pictures added for some Apple-1. Thanks to Applefritter member update of #26. Youtube video in slideshow with preview image. The Registry now got a change log for all Apple-1. Every change is documented. New function: Sort by last update/change (Hi Jimmy, hope you like it). Facebook account is available again. It was offline because of some attack to the account. Please keep going to contribute information. The Powerhouse pictures don't belong to me, my mistake, I thought they were CC but that only applies to the text. If I do go end up seeing it next week I'll make sure to take some new pictures that can be used for the registry. Thanks a lot! Every info and picture is welcome! Every Apple-1 is very interesting. Maybe you know someone in the museum? Powerhouse is one of the museums that did not answer so far to my enquiry about info+pictures. Maybe it was marked as spam? Just in case you see a curator it would be fantastic to ask if they would provide picture of front+back and maybe some info. In return I already have a link to the museum. For every museum I can even publish a picture of the exhibition or museum's building. For example Nixdorf Museum and Deutsches Museum Munich gave me permission. Hopefully I will travel this year to Australia. Enjoy the fall in Sydney. The Apple-1 Registry got a new consistent name for facebook and twitter. If you follow us or like the page: @apple1registry is the new name.